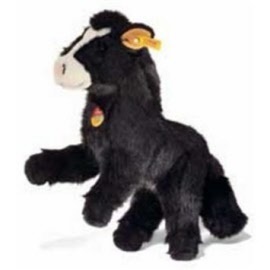 Steiff EAN 072710 Fenny horse, about 32cm. 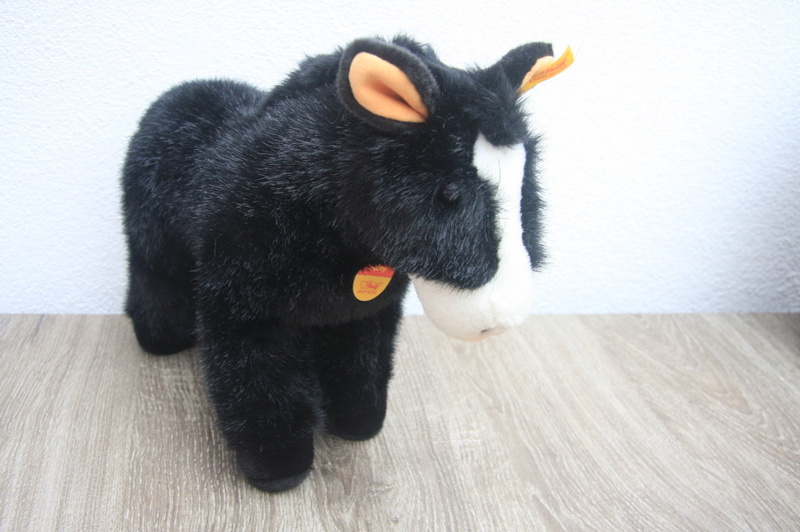 Fenny is made of cuddly soft black and white woven fur with airbrush details. She is stuffed with synthetic filling material and has safety eyes. Fenny is machine washable at 30 degree C and has the CE mark for safe toys. <?XML:NAMESPACE PREFIX = "O" /> Fenny has a brass plated "button in Ear"
Steiff EAN 070655 Fanny pony brown, 30cm. Steiff Fanny is made out of brown plush. He is not jointed, but can stand on his own. This plush toy is filled with synthetic filling material. Steiff Fanny has a button in his left ear. This product is 100% safe for your child! 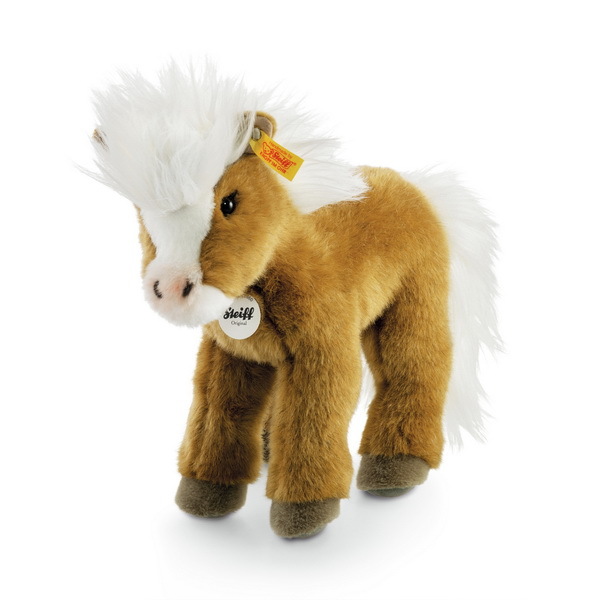 Steiff EAN 071287 Spotty Horse, 30cm. 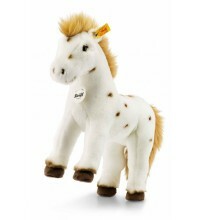 Spotty horse is brown/white chequered, 30 cm tall and is made of cuddly soft plush fur. Spotty will soon become an absolute favourite with all horse lovers. That's definite! Thanks to the internal wires, the horse's legs can be bent in any way you want. Whether you use it as a cuddly toy or a playmate, Spotty Horse will make many dreams come true for all young horse lovers. It makes a great gift.